Outdoor enthusiasts, listen up! 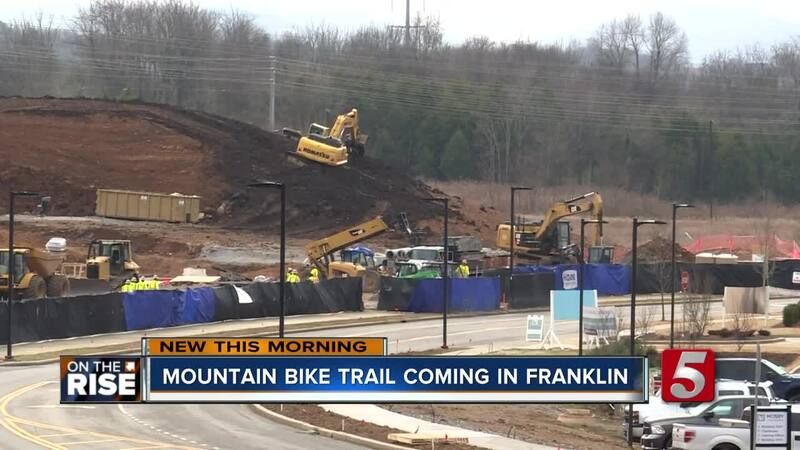 Mountain biking is coming to Franklin. NASHVILLE, Tenn. — Outdoor enthusiasts, listen up! Mountain biking is coming to Franklin. The new Cool Springs subdivision sits near near Columbia State College and backs up to open space. "You have a new development in Cool Springs going in it’s called The Standard of Cool Springs," said Lisa Clayton, Parks Director for the City of Franklin,"But we’re also less than a 1/4 mile from Liberty Park which is an 85-acre park that’s part of our park system." Clayton says the new mountain bike trail system, with beginner and intermediate trails, will be the first of it's kind for the City of Franklin. The trail system will be partially funded by real estate firm, Middleberg Management as part of the city's Parkland Impact Fee. Rebecca Wynd is the Founder and Director of Outdoor Encounter, a local non-profit. "Our whole mission is to create opportunities to get people outside and active," she said. Wynd says the first phase of the project will start small. "The first phase will be between two and three miles," she said. During the next few years the parks department will expand the trail. so more people can opt outside. The first phase of this project should be complete by July.